Read this slowly: “Lifeisnowhere”. What did you read? “Life is no where” or “life is now here”. 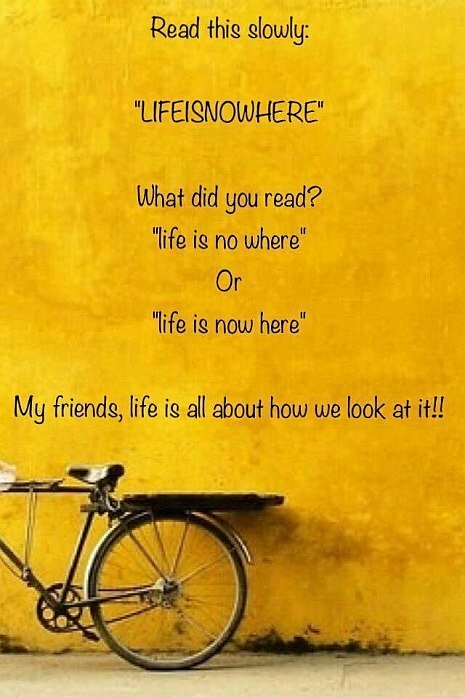 My friends, life is all about how we look at it! !